The Red Cedar is an evergreen growing 40 to 50 feet tall in an oval, columnar, or pyramidal form and spreading 8 to 15 feet when given a sunny location. The fruit is a blue berry on female trees. Birds devour the fruit and 'plant' it along farm fences and in old abandoned fields. 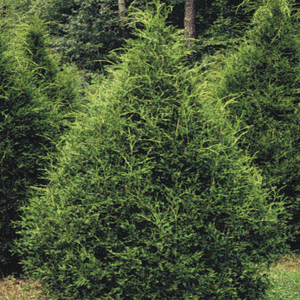 The eastern red cedar is not a true cedar (genus Cedrus), but is actually a variety of juniper. Photo from North Carolina State University. 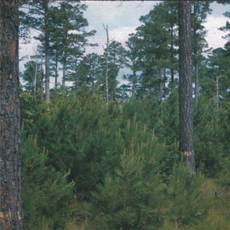 Loblolly Pines are large trees, growing up to 100 feet tall and producing clusters of three needles. 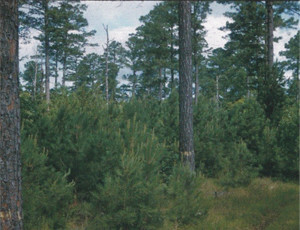 Loblolly Pines grow in forests and fields. In fields they are a pioneer tree, meaning they are one of the first trees to grow. The trunks of Loblolly Pines can be up to three feet wide. The bark is thick, scaly, and dark grey with brown layers underneath. Photo from the USDA Forest Service. 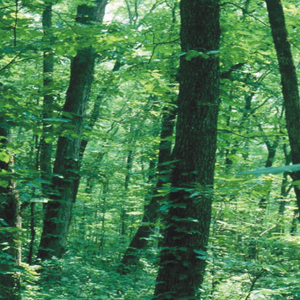 The White Oak is widespread across eastern North America and is a major source of fine lumber. Its high-grade wood has many uses, including staves for barrels, hence the name 'stave oak.' This tree can thrive on all but the driest shallow soils. The acorns are an important food for many kinds of wildlife. Photo from Tarleton State University. 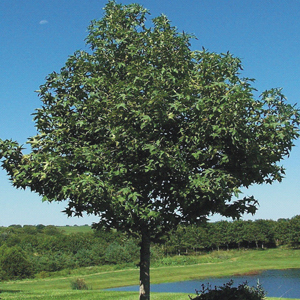 The sweet gum tree can easily be recognized by its leaves that are up to seven inches across and which have either five or seven-pointed lobes with fine-toothed edges. 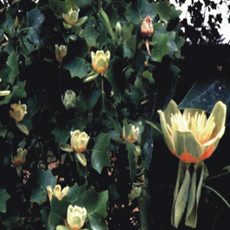 Found mainly in eastern states south of New England, the tree's gum, which was scraped off after removing the bark, was once used in chewing gum and medicines. The wood is used in making furniture and boxes. 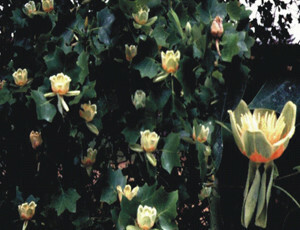 The Yellow Poplar is also called the "tulip tree" because of its tulip-like flower-shaped leaves. It is one of the tallest eastern North American hardwood trees reaching over 120 feet. The long, arrow-straight trunk, which may be two to three feet in diameter, reaches high up into a small, oblong crown of branches and foliage. These tall, straight trees stand like supporting pillars for the very forest itself. Photos from Ohio State University and Kentucky Dept for Libraries and Archives.